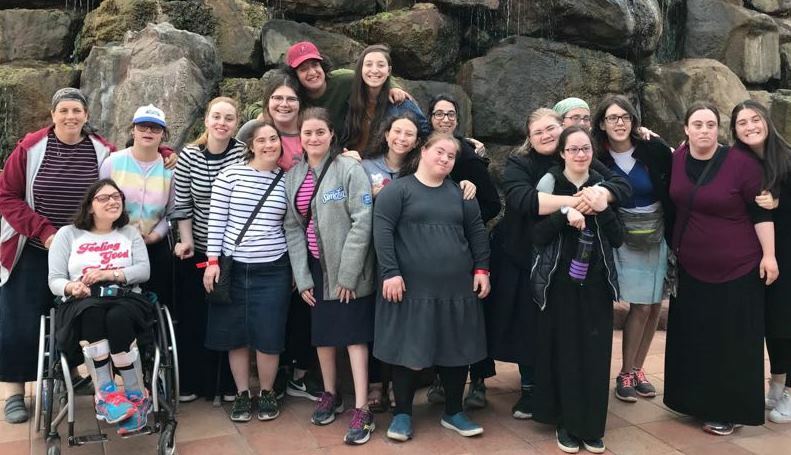 For years, young women with physical and developmental disabilities watched wistfully as their sisters and mainstreamed peers left them behind to spend a year in Israel after high school. 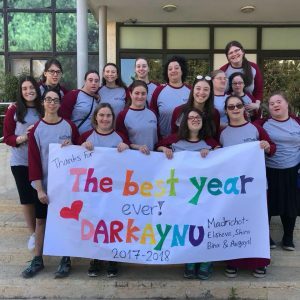 Darkaynu is the first and only program to fulfill their dreams by giving them the same opportunity of spending a year learning and touring in Israel, connecting to their roots, learning to live independently, building self-confidence and generally experiencing the feeling of being just like everyone else. Darkaynu “sidestreams” students in a specialized, highly-supervised program featuring an exceptional counselor/student ratio, operating within the larger environments of Midreshet Lindenbaum‘s overseas program for mainstreamed youth, the Maria and Joel Finkle Program. This unique sidestreaming characteristic empowers Darkaynu students to participate in activities in which they can excel and build confidence, i.e. dorm experiences, meals, weekends, outings, celebrations or leisure time, but separates them for those in which they need individualized attention, such as in the classroom, or in workshops tailored specifically for them on subjects ranging from life skills, independent living or interpersonal relations. Darkaynu also provides each student with vocational training, work and volunteer placements, a personal “adoptive family,” and an abundance of social opportunities which they couldn’t possibly experience on their own.